With servers of various web hosting services located abroad, it is increasingly becoming a safety aspect to interact with international clients. All provisions are guaranteed, such as Data Security, privacy and content support. Also, you can save up on tax and minimize the integral standards of in-house hosting of business companies. A cheaper economy is now extremely viable with reduced cost operations and a rapidly developing global economy. Infrastructure is also not important since the existing transactions are widespread. There are also confidentiality laws and nearly guaranteed profits that can boost your site. Offshore Web Hosting is a great option for developing countries as outsourcing helps one entertain a global communicative customer base. Website management, virtual marketing schemes, and quality-committed designs massively revolutionize the conventional business routines. Desired customization costs are reasonable. However, the hardware configuration is directly dependent on the hosting packages. An offshore web-hosting company ensures anonymity under selected conditions. So, identity theft is out of the question, while independent marketing strategies can be easily applied. It is important that only industrially and technologically prosperous areas be chosen so that additional losses in case of disasters aren’t effective. Creative preferences are a great boost for the user and visibility doubles as soon as international circuits are incorporated into your hosting dynamics. We at Hostjinni beckon you to join us in this high-quality ride of offshore hosting space. 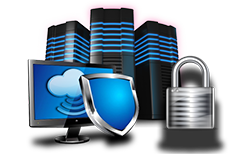 A complete guarantee of uptime and licensed privacy credentials with 24x7 economical and technical support makes it the number 1 site for advanced offshore hosting. There are multiple safe payment options as well as competitive prices. Real-time monitoring and reporting formats help boost global reliability. ‘No spam’ and customer gratification remain important at all times. Root access to all servers and faster handling of huge traffic makes it a hassle-free process. An offshore dedicated server involves uncompromising performance, storage and personalization for highly sought-after businesses, that doesn’t want to share resources with others. A country’s cyber policies may stop you from resolving restrictions, while offshore hosting doesn’t make it a problem. It stimulates client-provider desk and eases the pressure on the residing country. Web hosting sites enable daily backups with no extra costs, alongside migration support. You will be at a loss if you miss out on Hostjinni’s exceptional offshore web-hosting schemes.